Continuing our Cisco Learning Partner of the year award celebrations we are providing an across the board discount on all career certification courses* and also any Guaranteed To Run courses. 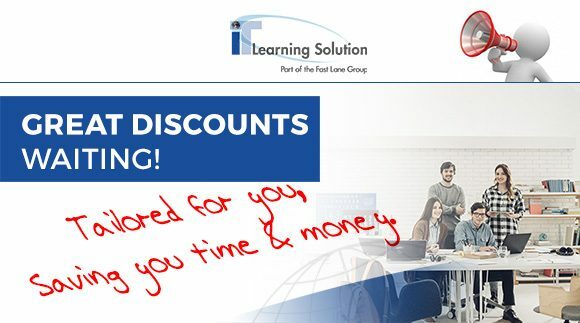 Get your 25% discount on all the courses you can take and benefit from the savings. Use Promo Code AWARD2017 when registering for their course. View out list of extensive Cisco course offerings here. Should there be any course you are interested in that isn’t part of the offer please contact us to discuss and consider. No need to wait for a public courses to be scheduled and running. We provide tailored training for your organisation. The advantages, tailored to your needs rather than just generic courses; saving you time and money; onsite to avoid travel of staff and most importantly closed course benefits to be able to discuss openly your projects with the instructor and focus on the job at hand. The feedback to date has been great. ITLS USD to AUD exchange rate 1:1 – no mistake! If you have no Training Units and state of the Aussie Dollar against USD is not helping you ITLS is providing you a 1:1 exchange rate to help you. E.g. Course cost USD$4500 = AUD $6000 (@ 0.75) Now will cost you AUD$4500! Use Promo Code NETAPPAUD2017 when registering for their course. Cannot be combined with any other Cisco course offer. i.e. USD List $4500 = AUD$4500 Combined bookings with part TU payment is allowed. Feel free to get in touch if you have any questions about our Training Promotions; we’ll be delighted to answer them. Call +65 6100 4857 or send an e-mail any time to info_sg@itls.asia to reach us.